During this holly jolly season, PR pros are hard at work with special events, fundraisers and volunteer activities. We know you put in a ton of time and dedication to make your communications a success. That’s why we encourage you to pursue outstanding recognition for your efforts. Yes, we’re talking about the Image Awards! And speaking of manageable pieces – our December Meeting will show that YES! You can Survive the Accreditation/APR process while maintaining your sanity and friendships. We know you wonder if it’s “worth it” when you calculate the time, money and effort to achieve certification. We’ll show you how. 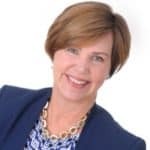 Suzanne Sparling, APR, CPRC, Executive Director, Communications Eastern Florida State College will highlight how FPRA and credentialing benefitted her career path. Then I’ll show you some of the latest tools to make the process easier while adding tremendous value to your professional development! Definitely worth it! Looking forward to 2019 where we will bring updates on podcasting, fundraising and of course the must-attend media conference in April. Stay tuned.